Edgar Womersley was born in Dunkeld in 1893, a son of Mary Ann Womersley. * The Womersleys lived in Parker Street Dunkeld and when Edgar finished his schooling, he went to work as a carpenter. On 27 October 1914, Edgar enlisted and left with the 4th Light Horse (4th LHR) 2nd Reinforcements on 3 February 1915. By 27 July 1915, Edgar was at Gallipoli but fell sick with dysentery around five weeks later and went by hospital ship to Heliopolis. He arrived at hospital on 5 September and was discharged on 24 October 1915, but did not rejoin his regiment until 2 January 1916. The 4th LHR spent 1916 around the Suez Canal. In April 1917, the 4th LHR moved into the Sinai Desert but was not until the end of October that year before the regiment would face their first major battle. 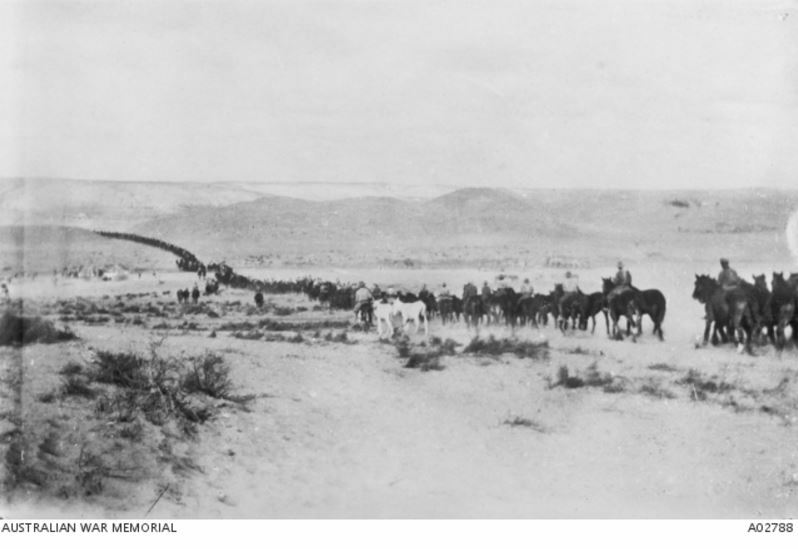 On 28 October, the 4th LHR along with the 1st LHR and 12th LHR began their move toward Beersheba, in two stints of around thirty miles each. Once in the hills outside of Beersheba, they remained hidden until late afternoon when they began to gather into formation. At 4:30pm the charge started at a trot but before long the horses were galloping toward Beersheba but with several lines of Turkish trenches between them and the town. They cleared the trenches and seized Beersheba, but not without casualties. Edgar Womersley was one of those, shot in the chest. Still alive, the 4th Light Horse Field Ambulance took Edgar to the 35th Casualty Clearing Station at nearby Imera. 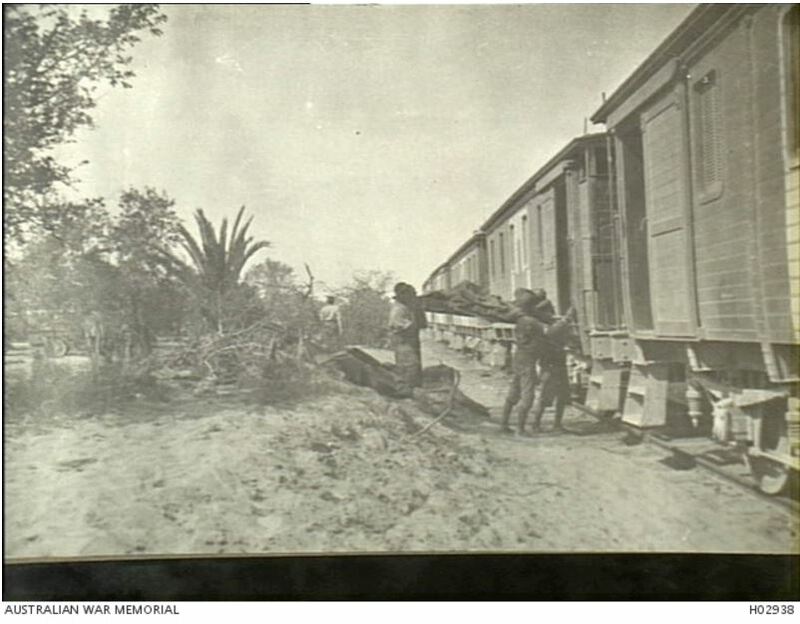 Edgar’s wounds were so severe it was necessary to transport him by train to Cairo, so he was loaded aboard the No. 6 Hospital train. He was still alive as the train crossed into Egypt from Palestine, but was dead on arrival at El Arish, Egypt on 2 November 1917. He was buried the following day at Masaid. In 1923, his body was exhumed and buried at the Kantara War Memorial Cemetery. Edgar is remembered on the Dunkeld War Memorial, Memorial Gates and Roll of Honour. He was also remembered on the Australian Light Horse Memorial at Hamilton with fellow 4th LHR trooper, Walter Kinghorn of Byaduk. 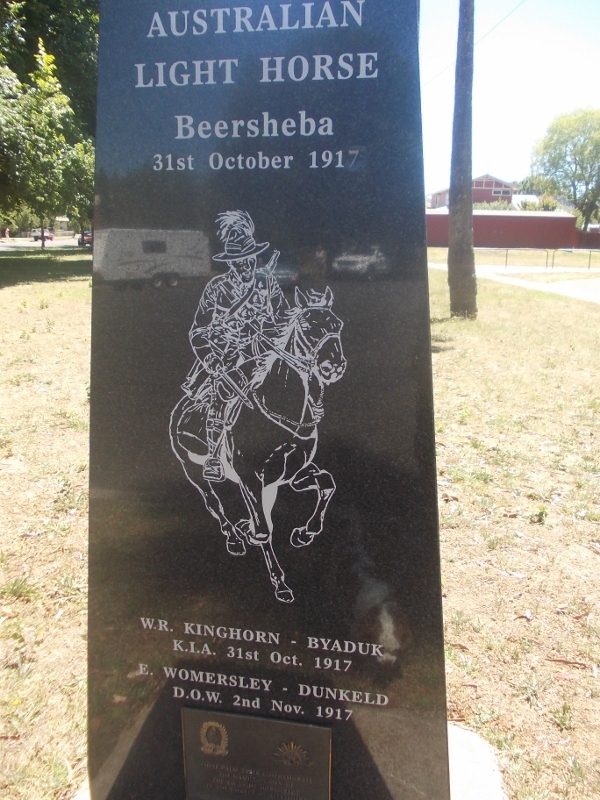 More about the charge of Beersheba is available in the post, Last Ride, the story of Walter Rodney Kinghorn. *The entry for the birth of Edgar Womersley on the Australian Birth Index (1788-1922), shows his mother as Mary Ann Womersley and father as Womersley. On his attestation paper, Edgar indicated his father was Harold Womersley of Parker Street Dunkeld. Harold Womersley was the father of Mary Ann Womersley. Mary Ann’s mother was Catherine Reegan, so Harold was Edgar’s grandfather. Edgar also gave his first name and signed his papers as Edward Womersley. Later entries in his service record revert to the name of Edgar. Also after his death, Edgar’s mother, Mary Ann applied for a war pension. That request was denied as she had not been dependent on Edgar for 12 months before his enlistment. Worth noting is that there were no “Family Notices” published after Edgar’s death maybe because of the complications of his family history. Considering that, it is fitting that Edgar Womersley has been given a special tribute on Hamilton’s Light Horse Memorial.